Hovering over the green text will display an illustration of the plant or trait concerned. 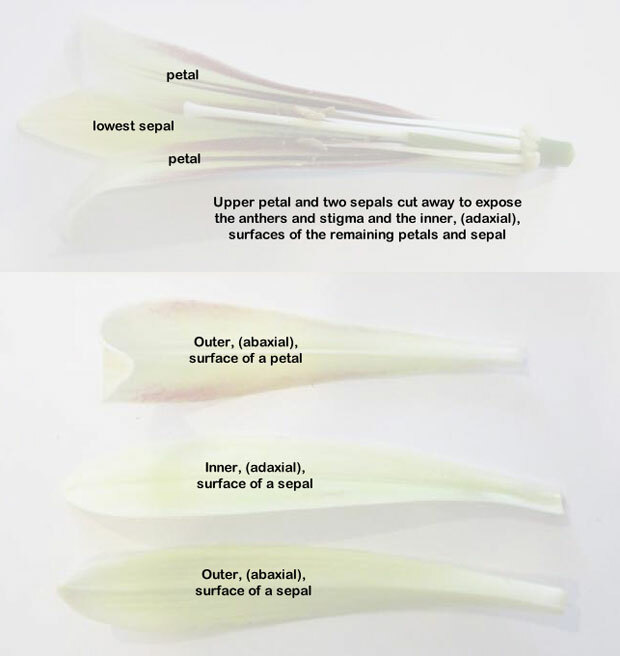 The key to the dissected flower images is here. 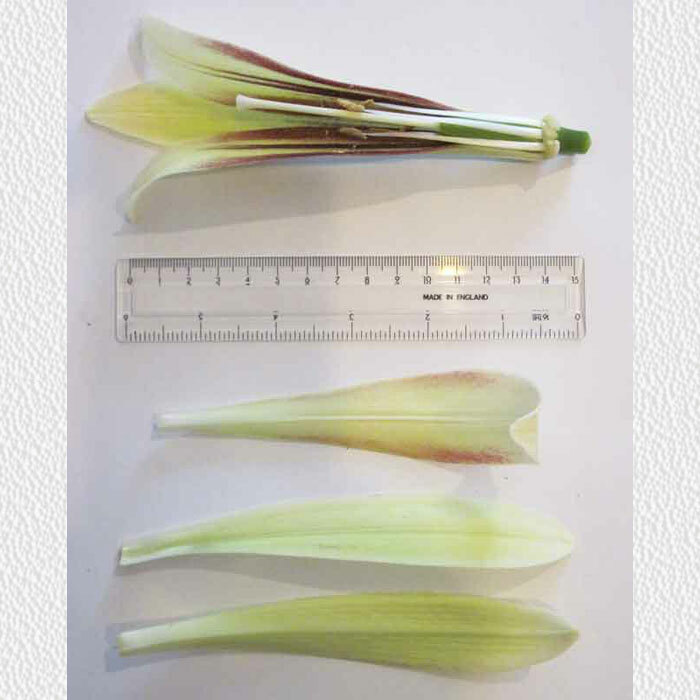 b	Stems 0.5 - 1.5m. 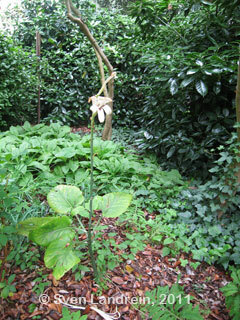 Leaves not spread regularly up the stem. 3 - 20 flowers. 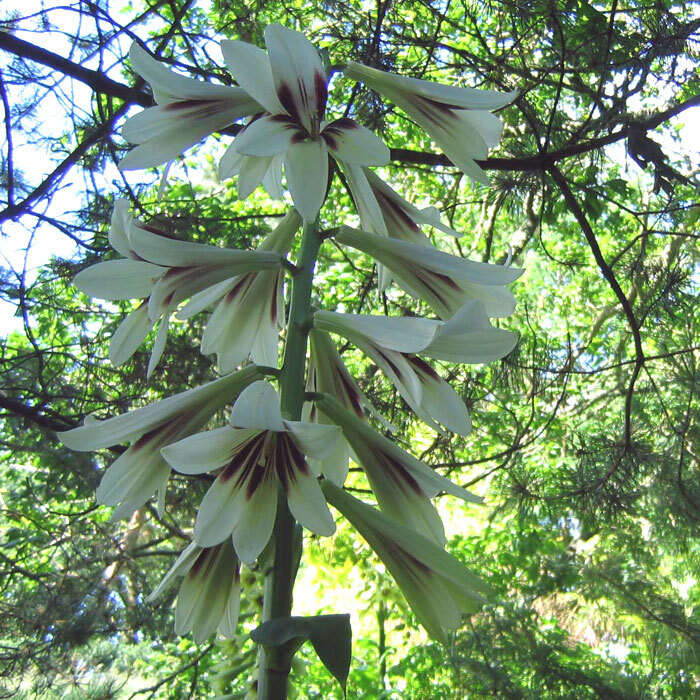 Flowers retain the lower flower bract for some time after opening. 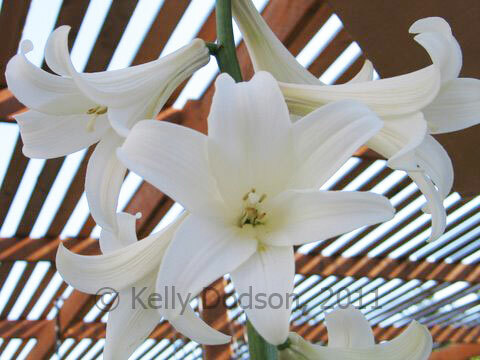 Flowers show slight to pronounced zygomorphism about a horizontal plane. 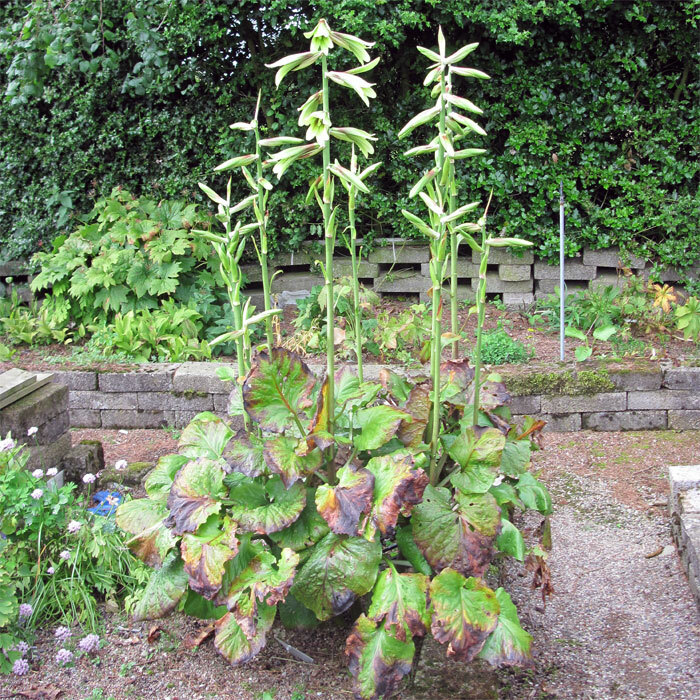 Cardiocrinum cathayanum . b	Flowers are completely magenta with no white. 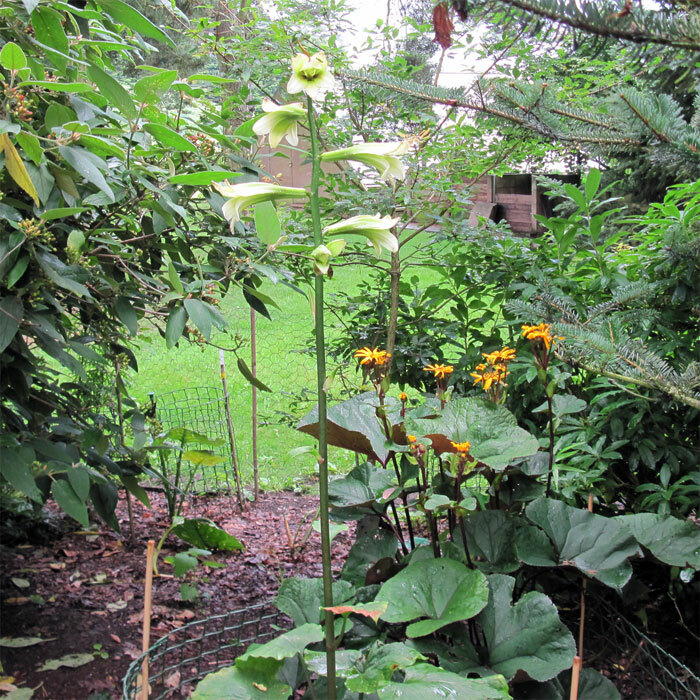 Cardiocrinum giganteum v. yunnanense . 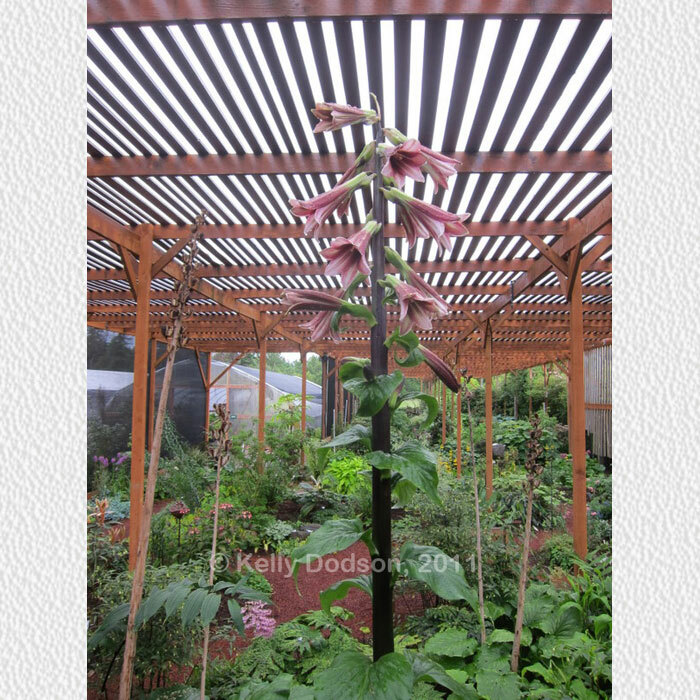 Far Reaches Farm refer to their 'rosea' cultivar as 'Big and Pink'. 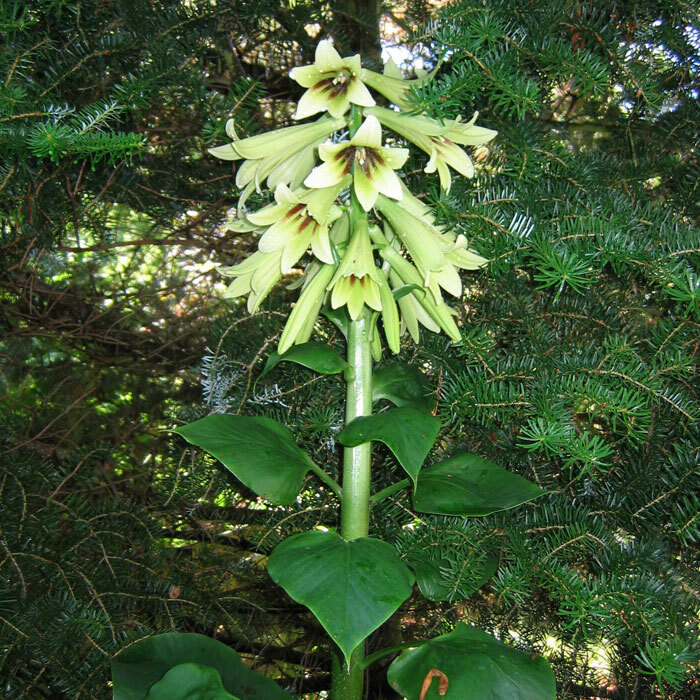 6 Leaves not spread regularly up the stem. 3 - 20 flowers. 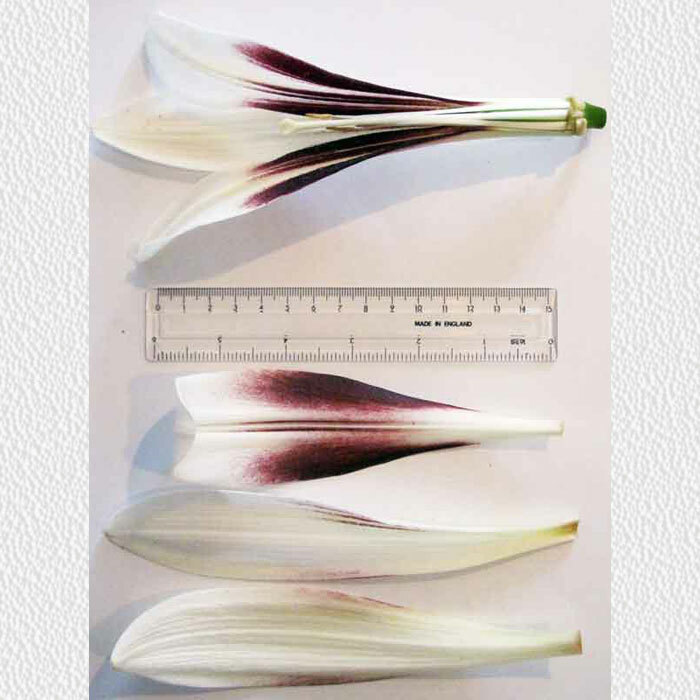 Flowers retain the lower flower bract for some time after opening. 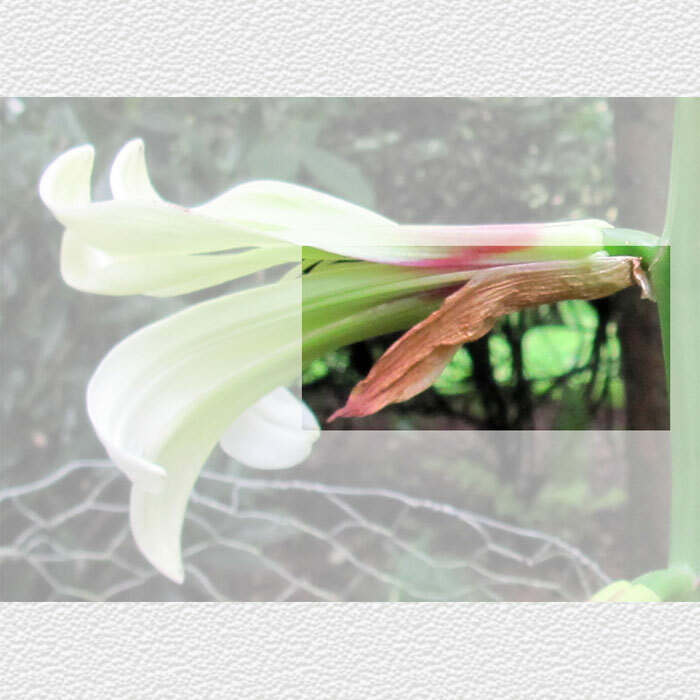 Flowers show slight to pronounced zygomorphism about a horizontal plane. 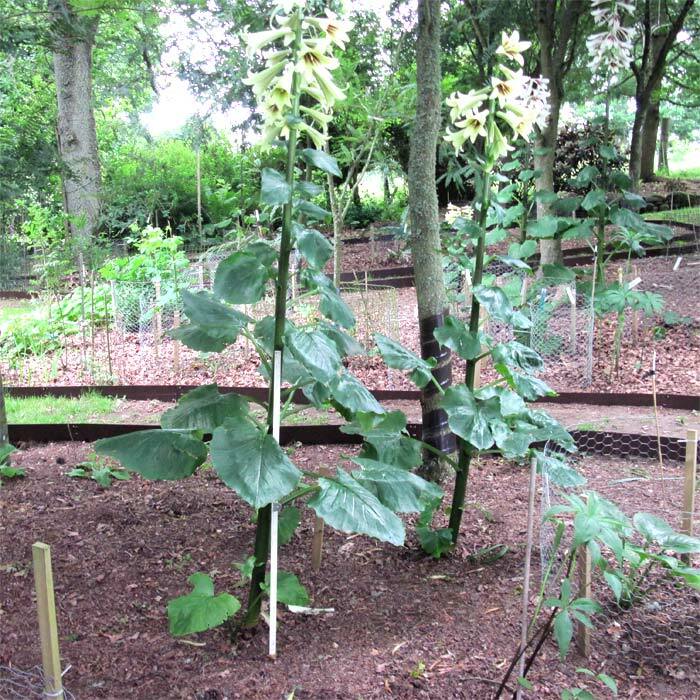 a	Stem usually 0.5 - 1.25m. 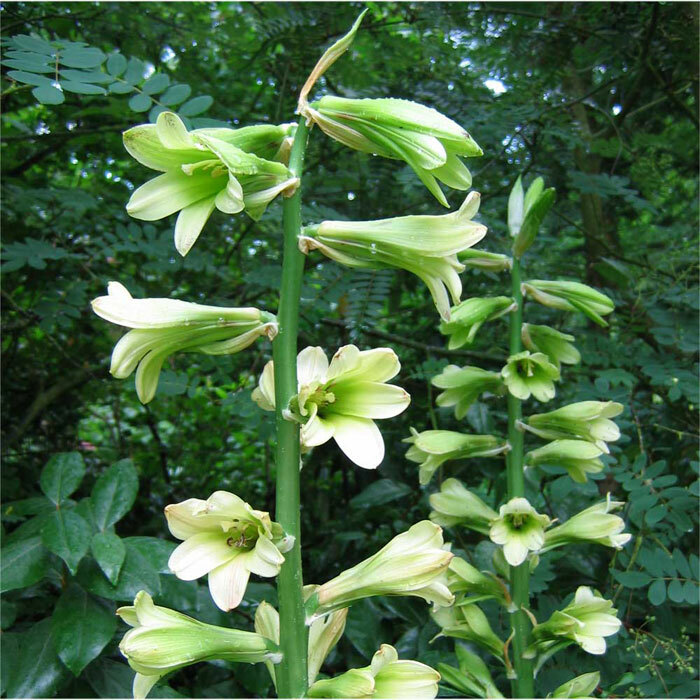 Few flowers, (3 - 7) Cardiocrinum cordatum cordatum . 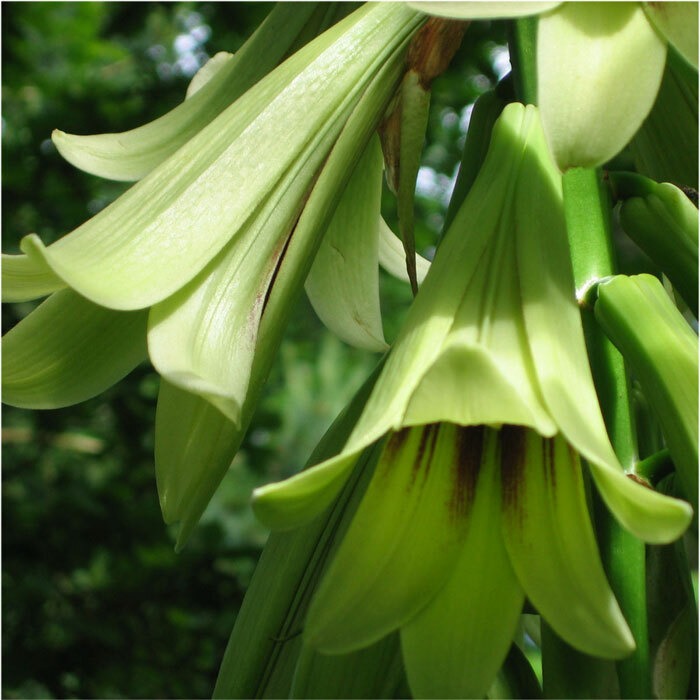 See The Genus Cardiocrinum, its Identification and Cultivation, p.18, for a discussion on my inability to distinguish between these taxa. It isn't certain that these taxa are stable. 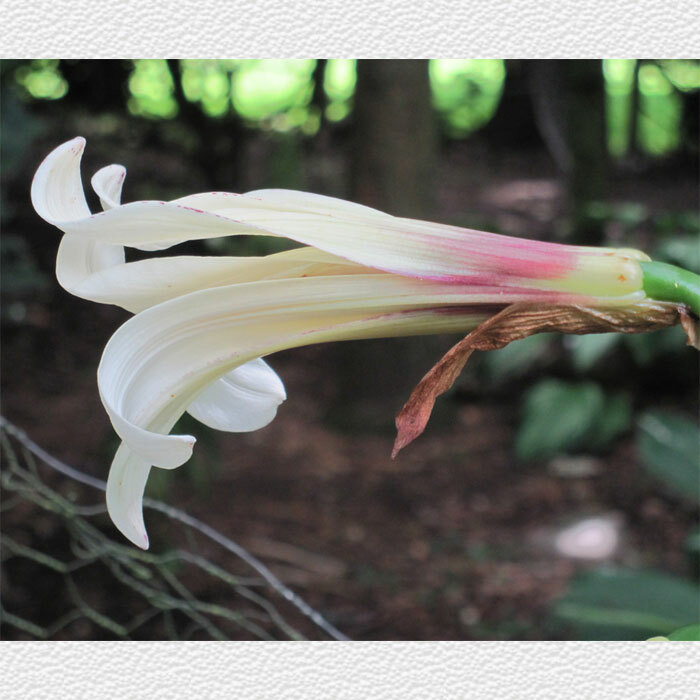 See The Genus Cardiocrinum, its Identification and Cultivation, p.32 for a text version of this key. This key can be used in an interactive mode.